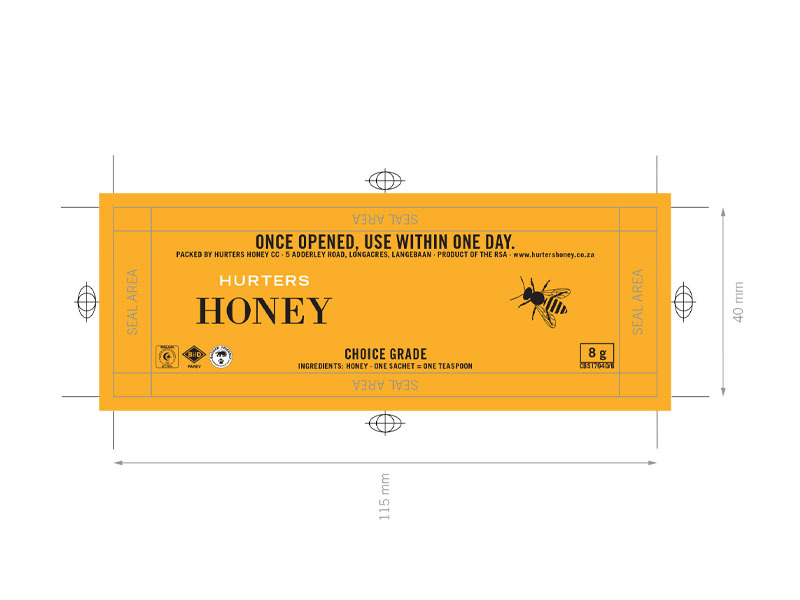 Hurters Honey is a ‘new’ brand in the market and wants to make a bold entrance as a high quality, healthy and locally produced brand. 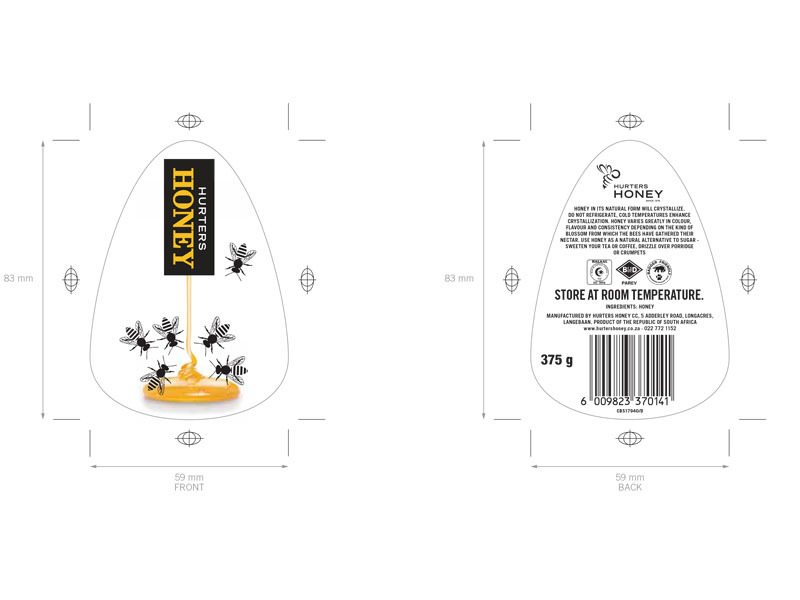 The inspiration behind these designs came from two key elements: Hurters Honey harvests their own honey and the brand logo is a honey bee! 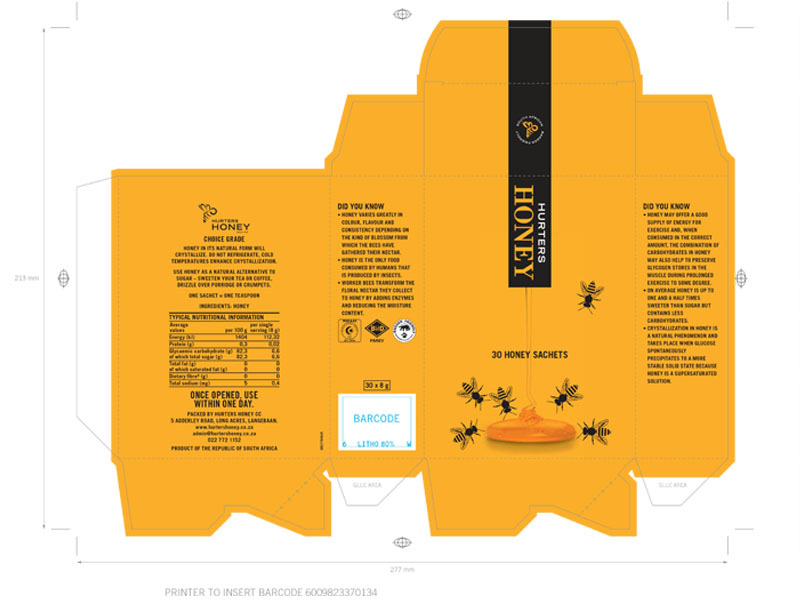 We look forward to seeing this brand become a dominant player in the market.